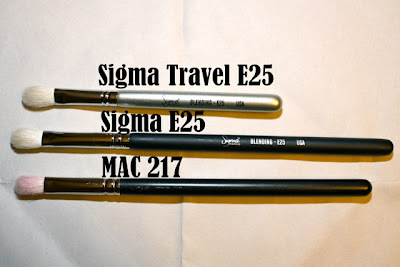 Sigma sent me the Complete Kit with Brush Roll and several additional brushes for free to review. 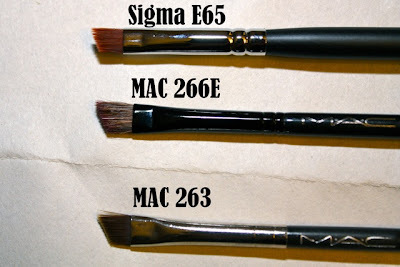 The price, selection and quality of Sigma brushes makes it almost ridiculous to purchase MAC brushes. The brush roll is absolutely beautiful. It had a weird smell at first, but after a few days the smell disappeared. I do not regularly use all the brushes that come with the Complete Kit because I have particular brush types that I like using and not all are included in the kit. However, I did use almost all of them throughout the past month on myself and at school. All of the brushes have had very little shedding. The majority of the natural hair brushes were second cut/mix brushes, which means that they were cut to the shape instead of hand sculpted into their shape. The ferrules are double crimped and a solid tube, which makes for a solid brush that will not easily loosen from the handle. 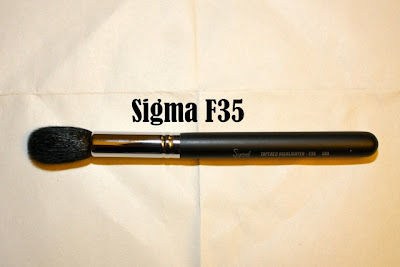 The first brush in my review is the F30. 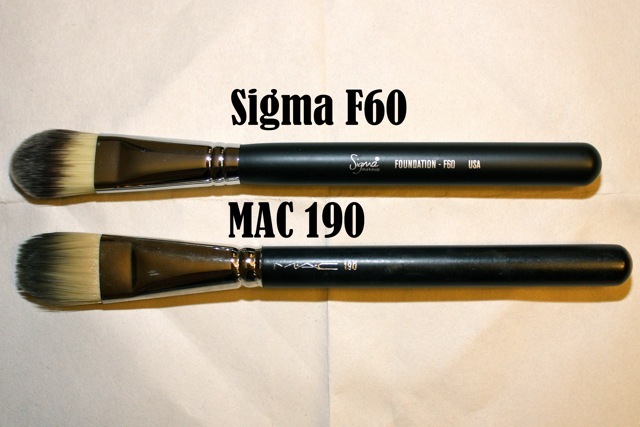 This brush is similar to the MAC 150. I rarely use this brush because I prefer to use the F25 because I find it to be more precise. However, this brush is a very dense soft second cut brush with great snap (snaps back into shape). 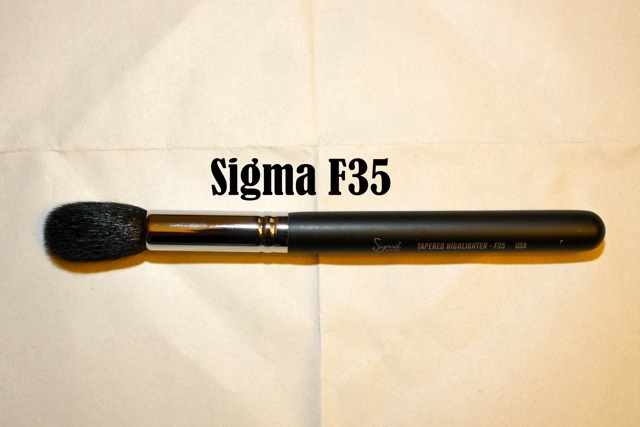 The F50 is a soft, dense duo-fibre brush that is great for applying cream foundations, blushes, bronzers, etc. I do not use duo fibre brushes often. 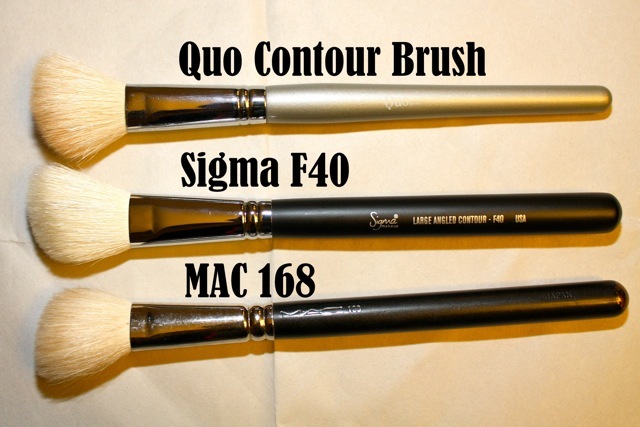 The F40 is a natural hair angled contouring brush. It is identical to the MAC 168. I do not regularly contour my face and and at school we contour with cream foundations or concealors so I have not had much use for this brush as of yet. The F60 is an excellent synthetic foundation brush. I have used it several times at school and it leaves minimal streaking, perhaps because it is so dense. It is firm and the ends are soft. 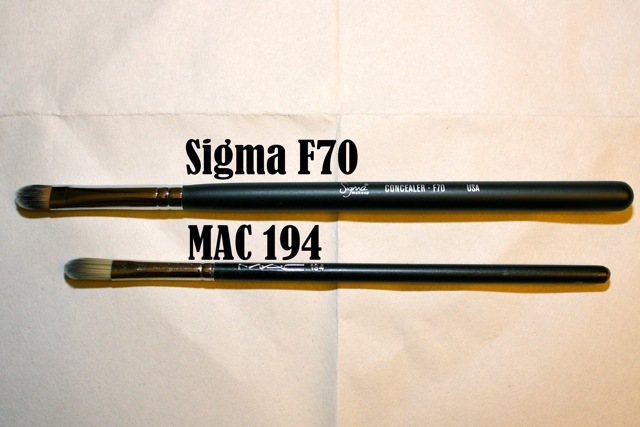 The F70 is a small concealor brush that would be great for concealing blemishes and veins. It is a firm brush with soft ends. However, a larger brush would be more useful for concealing under the eye, which is the majority of what I have been concealing. The E70 is a general natural haired angled eye contouring brush. 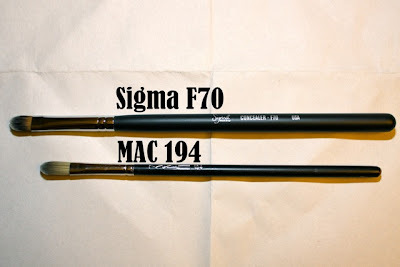 I have never liked using this style of brush because I prefer to use a 217 or 226 for eyeshadow application to the crease. This being said, it does feel like a solid brush. 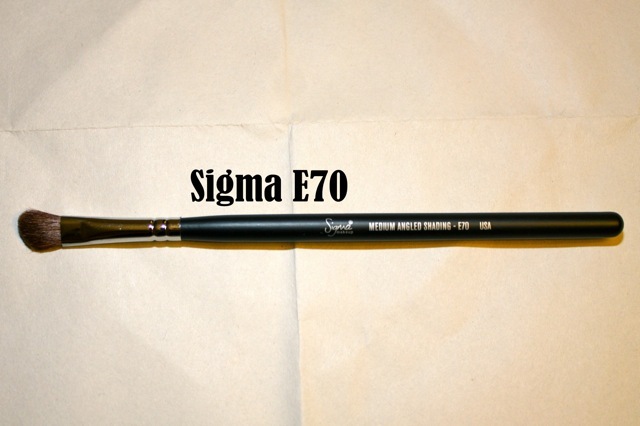 The E60 is one of my favourite brushes in the kit. It is a firm flat natural hair brush that works wonderfully for packing on eyeshadow. The loof is smooth and a perfect size for a all-over-lid application. 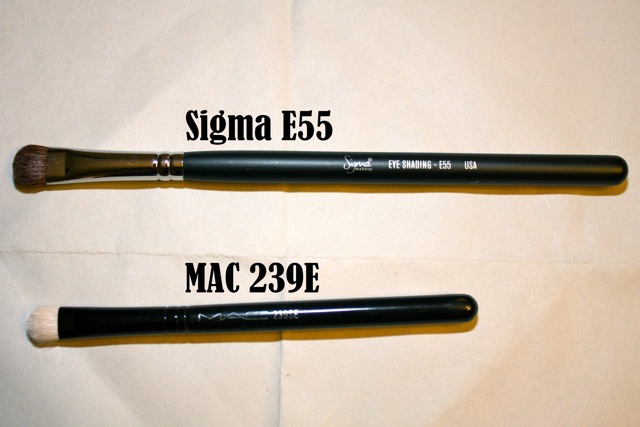 I prefer the E55 to the MAC 239E because it is soft and will not stain as easily as the 239. I find the 239 to be too scratchy. 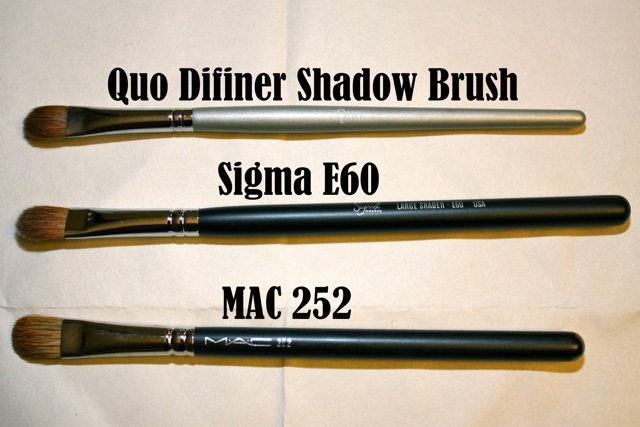 This brush is useful for general eyeshadow application. I could probably do my whole eye with this brush if I had to. 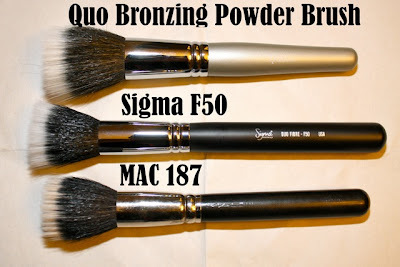 It is great for packing shadows on and some general blending because of it's softness. 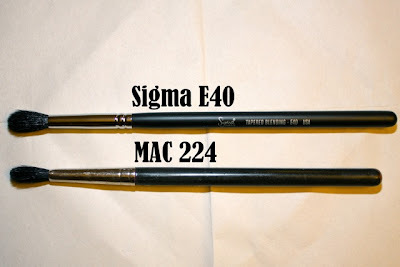 The E40 is a natural haired blending brush. I do not use either the 224 or the E40 because I prefer the 217 for blending and application. Many people, including me, use the E40 for applying concealor under the eye and blending shadows up to the brow. 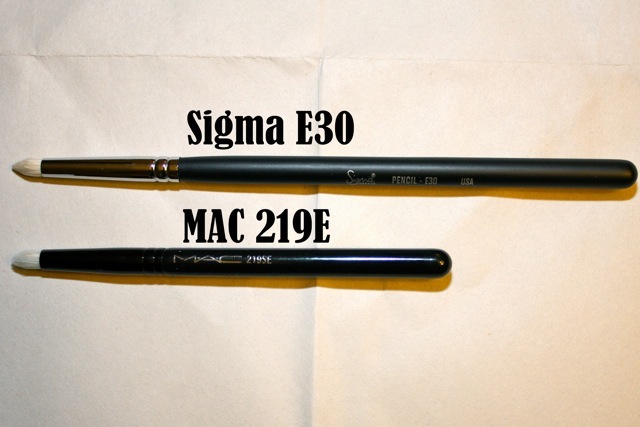 The E30 is a natural haired firm pencil brush. It is great for precision application of eyeshadow, applying shadow on the lower lid or inner corner of the eye. I find it to be more tapered than my 219E. 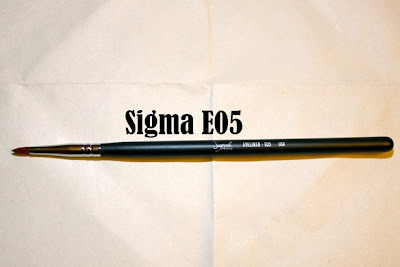 The E65 is a lovely synthetic angled liner brush. 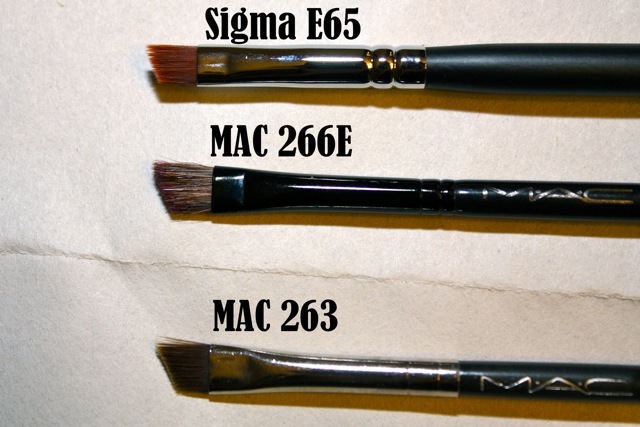 It is more comparable to the 263 than the 266 because it is synthetic. I generally do not like to use these for liner, I prefer a fine tipped brush. I do like to use this style of brush for brows, but I do like a synthetic/natural blend brush for my brows because I use powder to fill my brows in. 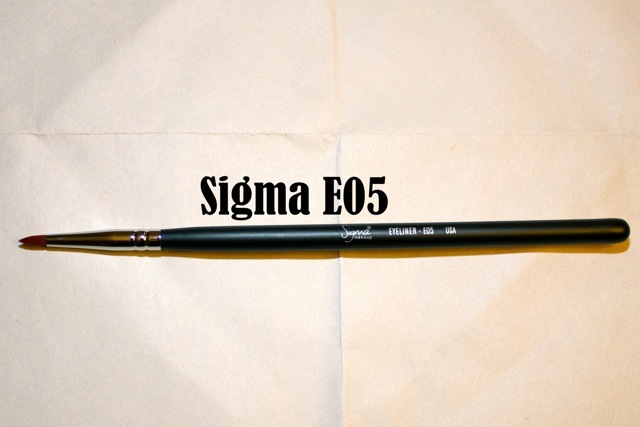 The E05 is a synthetic liner brush. It is like the MAC 209. 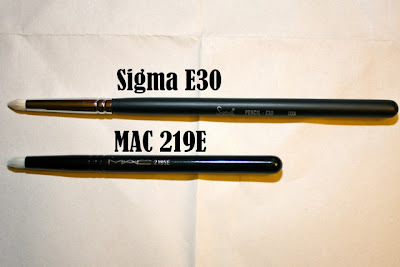 I have not tried this brush yet because I prefer to use my MAC 210. This brush looks too thick to apply eyeliner, unless you want a thick liner of course. The E25 is my favourite brush! I like it even more than my MAC 217. You can never have enough of these brushes! 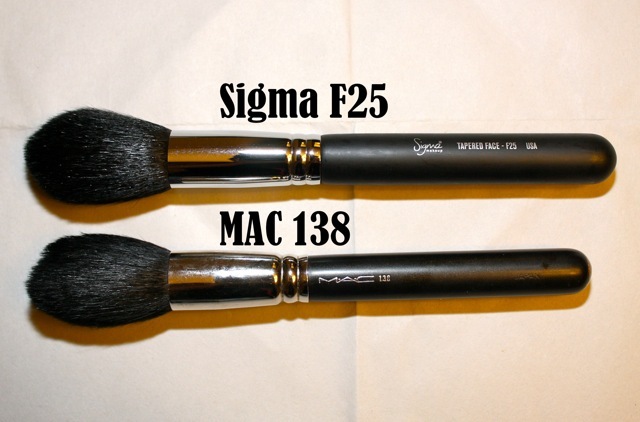 The brush is identical to the 217 and maybe even better because it is a little more firm. 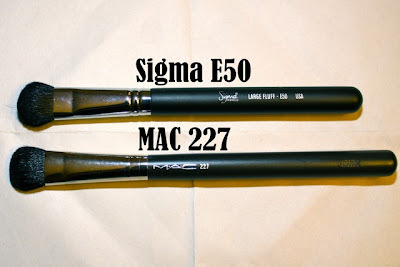 These brushes are excellent for applying and blending eyeshadow in the crease and above. The only complaint I have for the E25 and 217 is that they stain SO easily. The E50 is a must have for blending! I always apply my brow highlight with this style brush because it can blend so easily and beautifully! The only difference between the two brands is that the E50 is rounder, while the 227 is more tapered. The F25 is a natural haired brush that is excellent for applying powder. It is great because it can easily reach into the crooks of the nostrils which is important when using cream foundations. 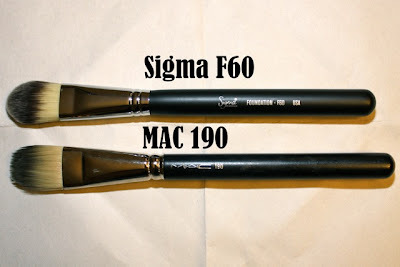 I much prefer this brush to the F30 because of it's precision. The F35 is a small tapered natural hair brush. This is also great for applying powder on a smaller scale. Maybe to set under eye concealor or powder around the nose again. 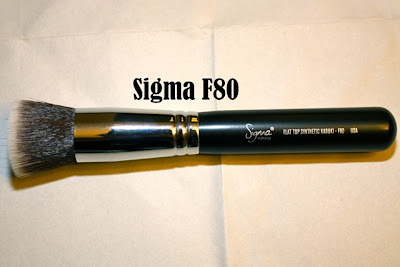 The F80 is another one of my favourite must-have brushes! It applies foundations beautifully with an almost airbrushed finish. It is a synthetic kabuki-like brush that is very dense and soft. Amazing brush, I will for sure be buying more of these. Overall, I am impressed with these brushes. 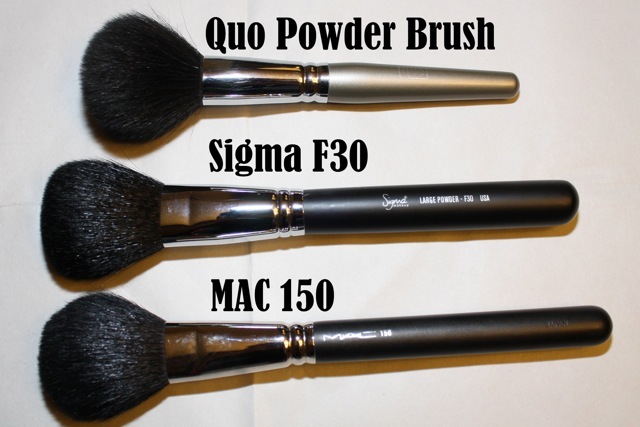 I will be buying the Premium Professional Kit because I find the majority of the brushes included to be very useful. I will probably eventually buy more brushes as my makeup kit grows because of the practicality of working on set with multiple people. Oh I forgot, awesome review! It was incredibly helpful! can you recommend a good quality dupe (or as close as possible) for MAC's 226 brush? They do not carry it online and I do not have access to a MAC counter.